TRANSLATION USED: Thomas North, 1579. WHERE TO FIND IT: I used the PDF of Plutarch's Lives of Coriolanus, Caesar, Brutus, and Antonius: In North's Translation, edited by R.H. Carr, B.A. (1906), found online here. You can download the volume, and then print out just the section on Coriolanus, marking the lesson starts and stops as well as the recommended omissions. WHY SO MANY OMISSIONS? I have generally used the same omissions as in John S. White's version of Dryden's translation (online at Project Gutenberg). In Coriolanus, Mr. White used a red pencil with obvious enthusiasm. I will attempt to communicate his editorial choices clearly; you may or may not agree with them (and I have restored some sentences that seemed better just to leave alone). SHAKESPEARE CONNECTIONS: Notes on Shakespeare's play Coriolanus follow the discussion questions. DIFFERENT SPELLINGS OF HIS NAME: In different translations, Coriolanus is called Gaius Marcius Coriolanus or Caius Martius Coriolanus. Coriolanus was a nickname given to him later in life (like Poplicola), so in the text he is referred to as Martius. PRONUNCIATION: Long A or Short? In Latin, you would pronounce his name Coriolah-nus. In English, particularly in reference to Shakespeare's play, it is often pronounced Coriolay-nus. WAS CORIOLANUS REAL? "More recent scholarship has cast doubt on the historicity of Coriolanus, portraying him as either a wholly legendary figure or at least disputing the accuracy of the conventional story of his life." More here . WHEN DID HE LIVE, IF HE DID LIVE? In the 5th century BC, shortly after the time of Poplicola. VOLSCIANS: The Volsci were among the most dangerous enemies of Ancient Rome. North spells it Volsces; Dryden uses Volscians. LATINS: The rise of Rome as by far the most populous and powerful Latin state from ca. 600 BC led to volatile relations with the other Latin states (Wikipedia). *Junius Brutus and Sicinius Vellutus, the first tribunes, or magistrates "whose office should be to defend the poor people from violence and oppression"
LESSON ONE: "The House of the Martians"
From "The house of the Martians at Rome" to "consecrated yet to this day unto Castor and Pollux." 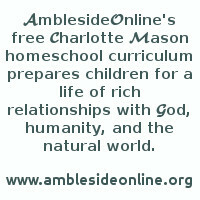 OMISSIONS: Optional: sentence beginning "Censorinus also came of that family." Section from "as they are meanly born, wrongfully do complain" to "altogether unfit for any man's conversation." Section from "and further, the oak did feed their beasts" to "to catch seely birds." CHARACTER NOTE: TARQUINE: Usually spelled Tarquin, or Tarquinius Superbus. The ousted king of Rome, who (if you remember from Poplicola) made several attempts to retake the city, including the Battle of Lake Regillus, about 496 BC. CHARACTER NOTE: CASTOR AND POLLUX: mythological twins, were supposed to have aided the Romans at the battle. Why does Plutarch say that, although men admired Martius, "they could not be acquainted with him?" What does Plutarch say is the greatest benefit that learning brings? Why does learning teach men "to like better the mean state, than the higher?" "Now in those days, valiantness was honoured in Rome above all other virtues." What is "valiantness?" SHAKESPEARE CONNECTION: Shakespeare's plays tend to jump in where the action is, so the stories of Martius' early life are only summarized in later scenes. LESSON TWO: "He who would valiant be"
From "Moreover it is daily seen" to "in that they would command, concerning the wars." OMISSIONS: Long section from "For those that had little, were yet spoiled of that little they had" to "quench this ill-favoured and worse meant beginning." Tyber: North's spelling of Tiber, the river on which Rome is built. What does Plutarch mean (at the beginning of the lesson) that when honour and reputation come to young men "before their time," it seems to kill their ambition to win even more recognition; but that when "valiant minds" get a taste of honour, it arouses their desire for more, "to enterprise things of high deserving praise?" Which is better? Describe Martius' relationship with his mother. How did Menenius Agrippa deal with the protestors? SHAKESPEARE CONNECTION: This is actually the opening sequence of the play. Menenius tries to avert a riot by telling "a company of mutinous Citizens" the story about the stomach. As he seems to be calming things down, Martius enters, calls the citizens "scabs," and gives the news that the senate was creating the position of tribunes "to defend their vulgar wisdoms." In Plutarch's story, the character of Menenius is mentioned only once, in this scene. In Shakespeare's play, he becomes a major character, a close friend and loyal supporter of Martius. From "In the country of the Volsces" to "and numbers of them slain, and taken prisoners." Tell the story of the battle at Corioles (or Coriolis). How did Martius show "valiantness?" SHAKESPEARE CONNECTION: In the play, the victory at Corioles takes up most of Act I. Like Menenius, Titus Lartius is mentioned by name only once by Plutarch, but Shakespeare gives him more action and lines. OMISSIONS: Long section from "Even so did the Grecians in old time give additions to princes" to "because they accounted him to be a great hinderer of the people." What reward was Martius offered for his service at Corioles? Discuss this: "They esteemed more the virtue that was in him, that made him refuse such rewards, than that which made them to be offered him, as unto a worthy person. For it is far more commendable to use riches well, than to be valiant: and yet it is better not to desire them, than to use them well." SHAKESPEARE CONNECTION: Shakespeare places the scene where Martius is offered various rewards back in Act I, right after the battle. LESSON FIVE: WHO SHOULD RULE? A rumour was started in Rome that a grain shortage had been engineered by the nobility, as a form of revenge on the common people. At the same time, the city of Velitres was depleted by a plague, so the Senate (led by the Consuls) planned to send some of the "surplus Romans" in that direction and start a new colony. They also planned to send a large number of men out to fight against the Volsces - not in hopes of reducing the number of Romans, but to put some of their restless energy to constructive use. But two "seditious tribunes," named Sicinius and Brutus, wanted to know why it would be a good idea to send people to live in a plague-infested area, not to mention "under a strange god" (who obviously cared so little about his people that he let them die of a plague). The people refused to participate in either plan. Martius took the side of the Consuls, and forced the compliance of those chosen for the new colony. Since apparently it was much more difficult to bribe or force military service, he attacked that problem separately. He led a group of men into battle in an area where the spoils included grain and cattle; all his soldiers came back rich, and envied by those who had stayed home. From this time on, some people (those who were rewarded) couldn't say enough good about Martius; others "spited to see his credit and estimation increase still more and more." From "Shortly after this, Martius stood for the consulship" to "For a man that will live in the world, must needs have patience, which lusty bloods make but a mock at." OMISSIONS: Section from "Now it is not to be thought that the suitors went thus loose" to "the golden and unfoiled age remained yet whole in judgment at Rome." Victuals - food. Pronounced "vittles." Why was the showing of battle scars the usual way of campaigning for public office? Martius had his share of admirable scars; why then did he lose the election for Consul? What was his reaction? SHAKESPEARE CONNECTION: These are key events in the play (including the conflicts mentioned in the introduction to the lesson). The choice of Martius for Consul appears to flow directly out of his military victory and current popularity with the people, rather than as the separate event that Plutarch describes. The question of whether or not he will be chosen Consul is drawn out until the end of Act II; and even then, in the major scene that follows (Act III. Scene i. ), it's not quite clear whether Martius knows that the tide has turned against him (Cominius addresses him as Lord Consul). You may wish to watch that scene from the 1984 film starring Alan Howard (the clip is posted on You-tube). One other thing to note about Shakespeare's version is that, also in Act III. Scene i., Brutus says, "And of late, / When corn was given them gratis, you repin'd, / Scandall'd the suppliants for the people, call'd them / Time-pleasers, flatterers, foes to nobleness." In Plutarch's story, the arrival of the grain supplies, and the argument over its distribution, doesn't happen until after the consulship election is over (Lesson Six). Around this time, large amounts of grain finally arrived in Rome from various sources. The first thought of the governors was that some of it should be sold cheaply, and some (that had been given as tribute) should be given away free. Martius violently disagreed; he said that the common people would think the grain was only given out of fear, an attempt to appease them; and that they would take advantage of that and grow even more violent, demand even more. He proposed that the experiment with the "tribuneship" (men elected to represent the common people, not the aristocracy) be cancelled as well, since it only caused dissent. "Only a few old men" disagreed with him. You may want to discuss this (the advantages and disadvantages of democracy?) before reading the passage itself. From "For the tribunes of the people, being present" to "as their malice and desire was increased, to be revenged of the Romans." OMISSIONS: Long section from "Then Sicinius bethinking himself a little" to "Under these conditions the judgment was agreed upon." What was the reaction of the people, on hearing of Martius's proposals? In the omitted section, Martius had made a deal with the tribunes, that he would only answer to one charge, that of "aspiring to be king." What happened at his trial? Why could the senators only say, "I told you so?" What plan did Martius have at the end of this lesson? Would you have counseled him to act differently? SHAKESPEARE CONNECTION: Still in Act III. Scene i., Coriolanus says, in front of the tribunes, "Let what is meet be said it must be meet, / And throw their power i' th' dust." Plutarch says that Martius made his proposals in a meeting of the senate, at which the tribunes were present; if you watch the 1984 film scene, it appears to be more of a private meeting. Anyway, at that point in the play, Brutus and Sicinius call in officers to arrest Martius, and he reacts violently. The tribunes propose that Martius be thrown from the Tarpeian rock, but eventually they all agree to at least give him a trial by law. Act III ends with Martius' banishment (there is also a clip from that scene on You-tube); Act IV opens with his farewell to his family. OMISSIONS: Section after the ending point. CHARACTER NOTE: TULLUS AUFIDIUS: Commander of the Volscian army; Plutarch states that the Volscians honoured him as their king; enemy of Martius. "which I cannot deny for my surname of Coriolanus that I bear": if there was no other evidence that Martius had caused great injury to the Volscians, the fact that his third name was "Coriolanus" (after the Volscian city he had taken) would suffice. Why did Martius go in disguise to the house of Tullus? Do you think Martius will fully give himself to the Volscian cause, or should Tullus perhaps be cautious about trusting him? From "Now Tullus and Martius had secret conference with the greatest personages" to "by change of one man for another, such and so strange events fell out in the state." What was the "chiefest purpose" of Martius, according to Plutarch? What were the strategies that Martius and Tullus used against the cities under Roman rule? Why did the Romans not offer a better defense? SHAKESPEARE CONNECTION: Shakespeare writes this section from an unexpected point of view: the Romans, including Menenius and the tribunes, receiving the news that the Volscians are camped in their territory and planning to attack. "And who's that with them?" "Can't be . . ."
From "In this while, all still went to wrack at Rome" to "departed with his army out of the territories of the Romans." GEOGRAPHY NOTE: LAVINIUM: A port city that was considered sacred by the Romans. Why was all still "to wrack at Rome?" What event suddenly ended the fear and apathy of the Romans? What was the reaction of the Senate? What were the terms of peace that Martius proposed? SHAKESPEARE CONNECTION: The play proceeds pretty much in order from this point on, although Shakespeare does make a few changes. It's clear, in the play, that Aufidius plans to get rid of Martius; that all his co-operation has been only for his own purposes. OMISSIONS: Section from "and all the augurs or soothsayers" to "divination amongst the Romans." Section after the ending point. Why did Martius send a double response to the Romans' plea for peace? Why do you think he continued to deal so harshly with them? SHAKESPEARE CONNECTION: Plutarch speaks more generally of "ambassadors" that were sent to try to talk Martius into retreating; Shakespeare makes more deliberate use of the characters he has developed, moving from the lowest personal involvement (Cominius) through close friendship (Menenius) and then finally the scene with his mother and wife (described in Lesson Eleven). OMISSIONS: Optional: section from "For if it were so, that my request" to "who did most lovingly and courteously receive thee." Long section at the end of the lesson. "Hereupon she began again to speak unto him, and said: ‘My son, why doest thou not answer me? Thinkest thou it not honesty for thee to grant thy mother's request, in so weighty a cause? Thou hast sorely taken of thy country, exacting grievous payments upon them, in revenge of the injuries offered thee: besides, thou hast not hitherto showed thy poor mother any courtesy.' And with these words, herself, his wife and children, fell down upon their knees before him." What is it that Volumnia and the other women were asking Martius to do? "Oh mother," said he, "you have won a happy victory for your country, but mortal and unhappy for your son: for I see myself vanquished by you alone." What did he mean? "All obeyed his commandment, more for respect of his worthiness and valiancy, than for fear of his authority." Do you agree that Martius is both worthy and valiant, and that his followers will protect him? Why then does he believe himself to be in mortal danger? Sicinius Velutus: Is't possible that so short a time can alter the condition of a man! Menenius Agrippa. So did he me: and he no more remembers his mother now than an eight-year-old horse. From "Now when Martius was returned again into the city of Antium" to "yielding themselves subject unto the conquerors, and promising to be obedient at their commandment." suborned several partisans against him, he required Martius to resign his charge, and give the Volscians an account of his administration." To suborn is to induce or possibly to bribe someone to do something. Partisans are followers or supporters, often with a particular bias or prejudice. In other words, he demanded both that Martius give up his leadership in the Volscian army, and to give public account of his actions. Earlier in the story, Tullus had the opportunity to kill Martius; however, out of their mutual hate for Rome and a certain respect for each other, they agreed to fight together. After Martius backed down (because of the women's pleas) and brought the troops back to Antium, Plutarch says that Tullus hated him, feared him, and looked for opportunities to kill him. Can you explain this extreme change in his attitude? Did Martius have a fair trial? Why was it that "the whole state of the Volsces heartily wished him alive again?" What is the real irony at the end of the story? And I'll renew me in his fall. It's also interesting that, in the final scene, Martius appears taken aback that the Volscians aren't pleased with his actions. He enters almost cheerfully, waving the terms of peace, and then wonders why nobody is patting him on the back. This seems to conflict with the fact that he knew he was signing his own death warrant by agreeing to the women's request; so we might think that he is just putting on a brave show here. Or maybe, in the excitement of everything, he ignored or just forgot about the danger. What do you think?